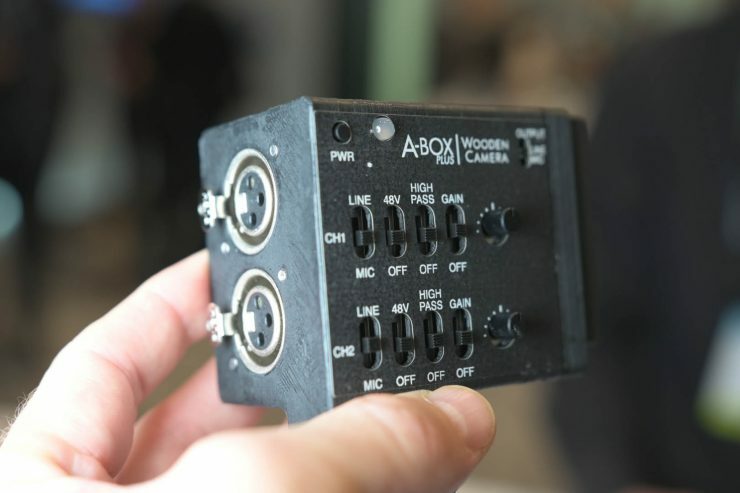 Wooden Camera have announced the Wooden Camera A-box Plus XLR audio interface, a major update to their first ever product. 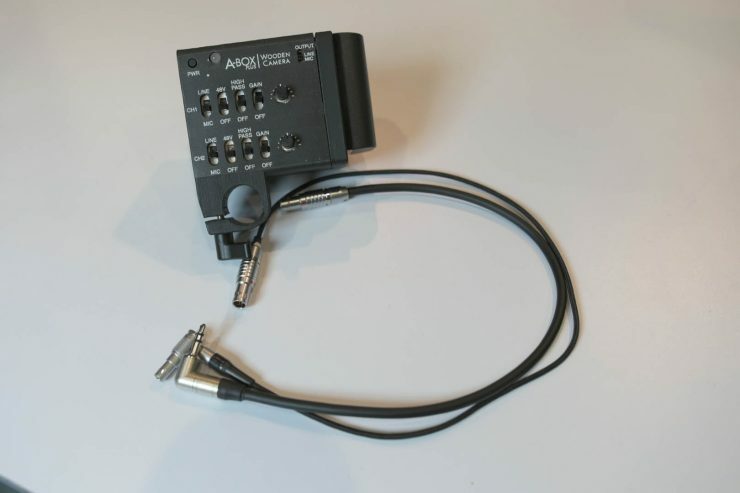 The new version features line and mic input levels, high pass filter, and provides 48V phantom power to two XLR inputs. 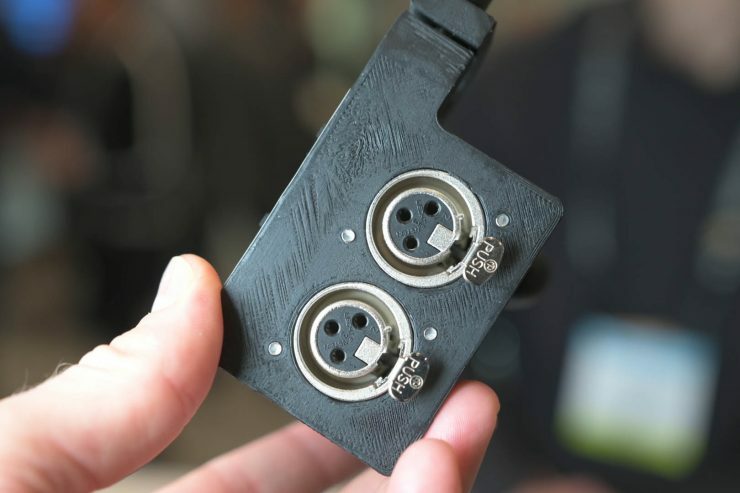 Mic and line level outputs are via a six-pin Lemo connector. This will be adapted to various different specs, including 3.5mm stereo and versions for the ARRI Alexa Mini and RED cameras. Final runtime hasn’t been determined yet but a single LP-E6 battery should power the unit for several days. Wooden Camera have also updated their shoulder mount to v3. 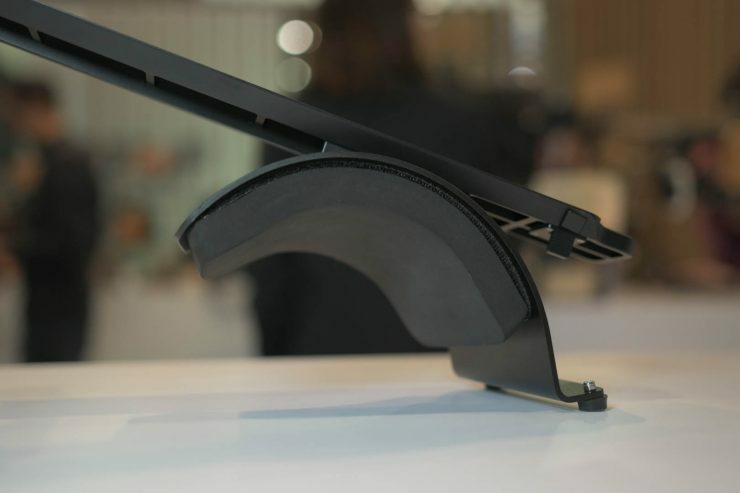 A new, longer dovetail reduces weight and allows you to counterbalance a wide variety of different cameras. The shoulder pad is now easier to change out and the Pro version features telescoping rosette arms. The dovetail is long enough to cater for a wide variety of cameras. The Pro version features a lot of potential for adjustments. The shoulder pad is now easier to swap out. 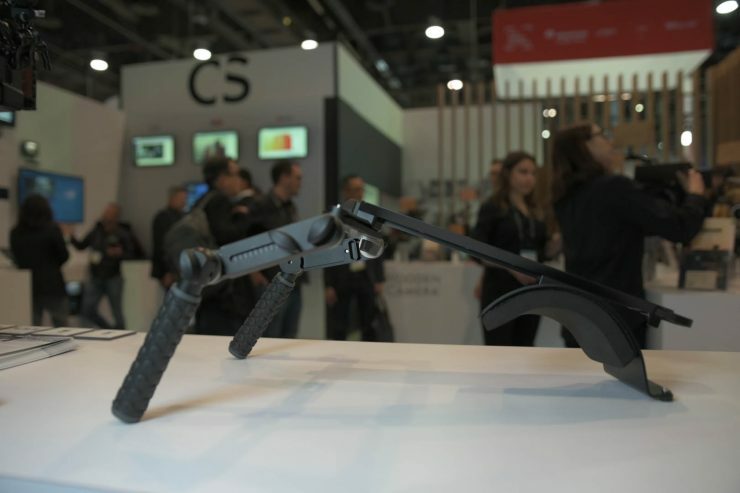 The kit retains the adjustable Nato crossbar and Arri rosettes from the earlier version but receives a big drop in price, to about half what the v2 was priced at. Wooden Camera have also developed a prototype 4.5″ round filter holder for their Zip Box Pro mattebox. 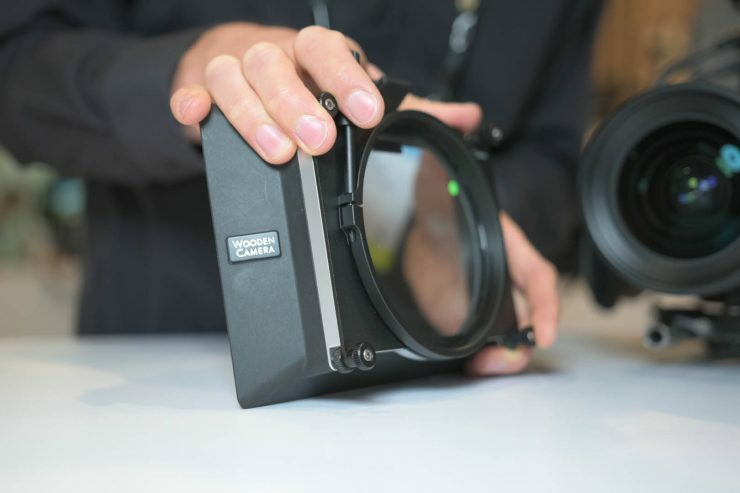 It’s designed for use with variable ND filters and circular polarisers and will allow them to rotate freely while remaining securely attached to the camera. 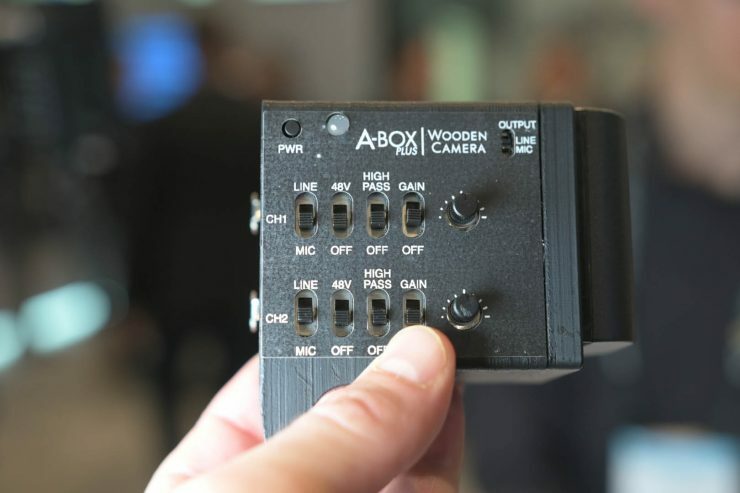 Wooden Camera hope to have the A-Box Plus ready to ship by the end of the year and are aiming for a price of around $300-400 US. 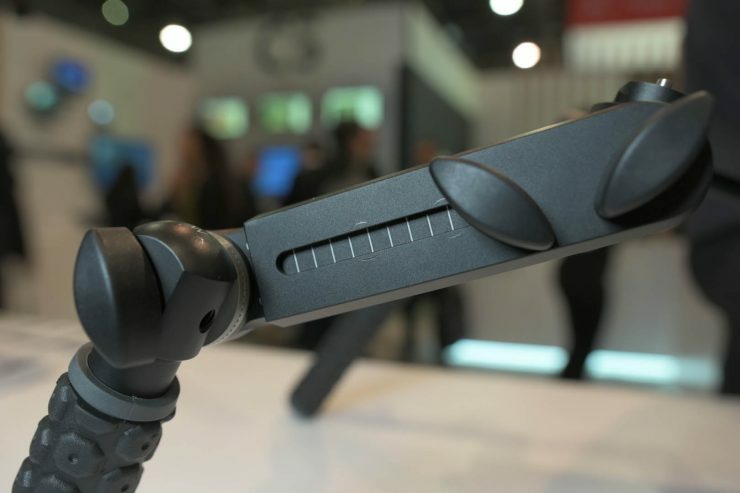 The Shoulder Mount v3 should be shipping in the next few weeks – the base version will now sell for $499 US and the pro kit will now cost $995 US, substantially cheaper than the previous version. 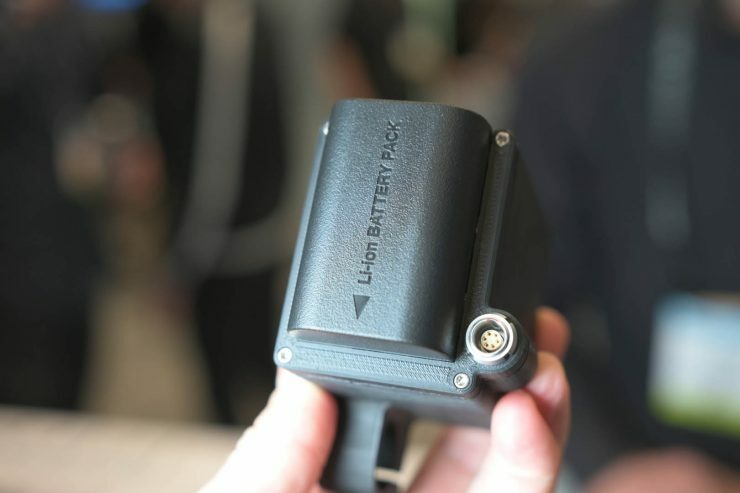 Finally the rotating 4.5″ filter holder should also be ready to ship in a few weeks, priced at $155 US.